Big-hearted members of Widnes Vikings Development Squad raised £239.67 for The Mayor’s charities after agreeing to take part in the Mayor’s Steps Challenge. 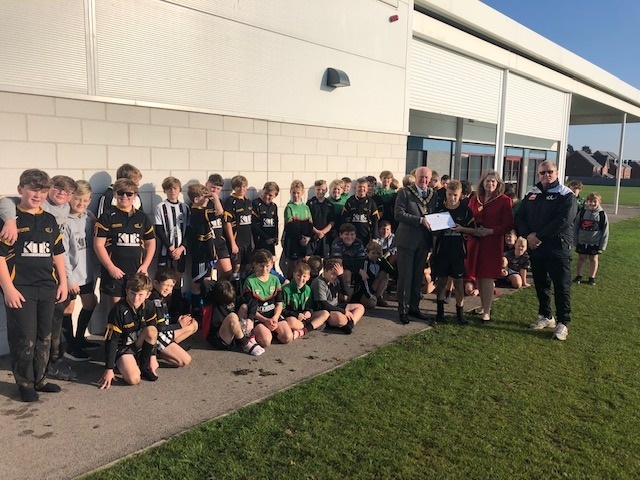 The Mayor of Halton, Cllr John Bradshaw attended the Widnes Vikings Development Squad training session to meet children who had taken part in the Steps Challenge to raise funds for the two nominated Mayor’s Charities and received cash raised from their own pocket monies. Widnes Vikings Development squad is made up of Year 6 & Year 7 schoolboys from across Halton who take part in rugby league coaching as a first step on the pathway with Widnes Vikings. The president of the Development Squad, Roger Harrison MBE, said: “We were delighted that the boys and staff of the Widnes Vikings Schoolboys Development Project were able to support the Mayor’s Steps Challenge. The Development boys and their parents acknowledge that being involved in our unique project places them in a very privileged position. Councillor Bradshaw is looking for 34 participants to step out and pledge to complete 10,000 steps daily for 30 consecutive days whilst contributing to fund-raising for the Mayor’s two nominated charities; Widnes & Runcorn Cancer Support and Widnes Fellowship Centre. If the ‘Steps Challenge’ is able to find 34 participants being sponsored £1 per day minimum (£30 total) it will raise over a £1,000 for the two Mayor’s charities. But perhaps more importantly it will encourage people of Halton to become that bit more physically active, giving health & wellbeing benefits to individuals and groups. Cllr John Bradshaw said: “This is an ideal opportunity for people to get more active and help to contribute to our fund-raising efforts at the same time. 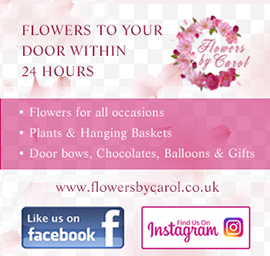 ” The initial response has been good and we’d like to encourage more to get involved, you can sign up as an individual, as part of a group or work placed team, a school or a sports group. As well as members of the Mayor’s Committee taking part, he needs individuals, groups / teams and schools to take part. Your individual challenge will start from the day that you sign up and you can get stepping out to hit 10,000 steps per day. Get active, get moving and get involved!